Tim McGraw worked the catwalk, giving fans plenty of photo opps at his Country Thunder show Friday night in Florence. 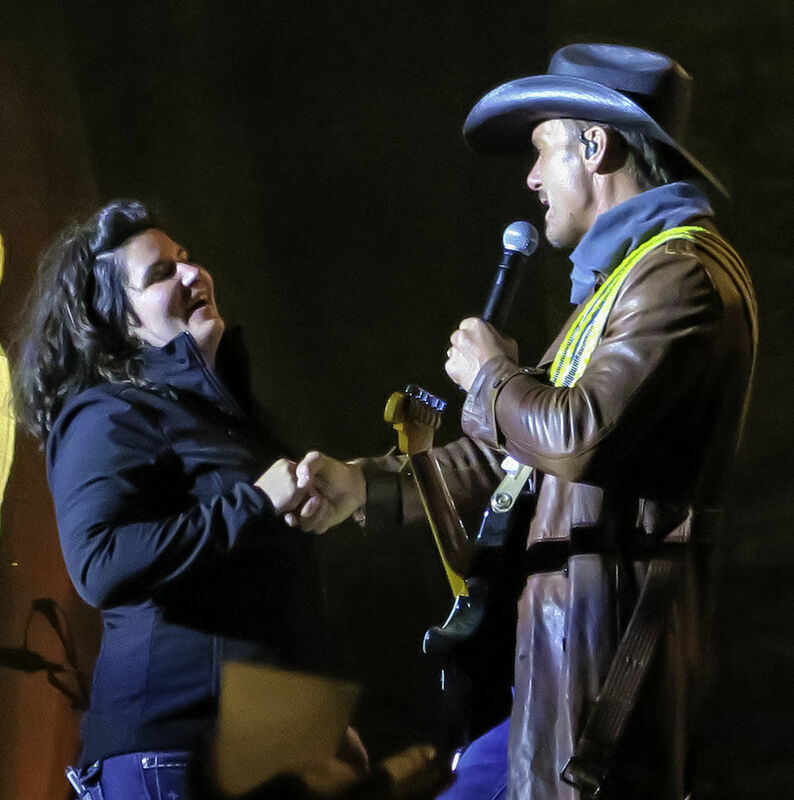 Tim McGraw greeted a fan who jumped on the catwalk and met him at the stage. She was quietly escorted off stage after McGraw hugged her. Tim McGraw played his first Country Thunder Arizona in a decade on Friday night. Tim McGraw came onstage Friday night wearing a long coat. After a few songs and a couple sprints down the catwalk. he ditched it. Abby Anderson performed an early afternoon slot at Country Thunder Friday. She is the only woman on the this year's main stage lineup. Newcomer Brandon Lay kicked off the evening lineup Friday night which included Clay Walker. 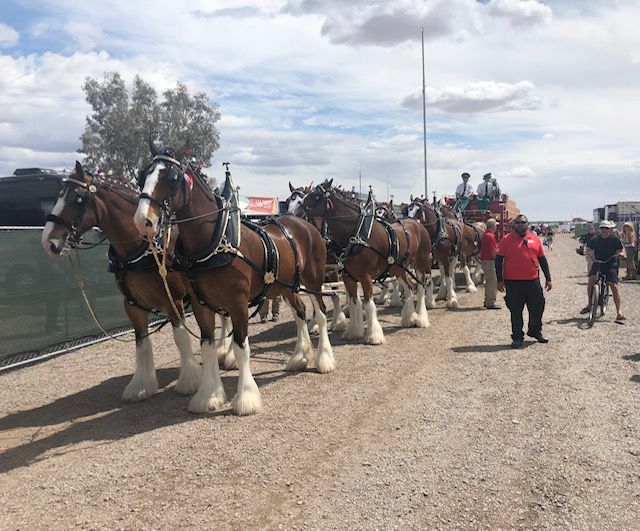 The famed Budweiser Clydesdales paraded around Country Thunder on Friday afternoon — something they will do again Saturday and Sunday before heading our way to the Pima County Fair next weekend. FLORENCE — The fan came out of nowhere, strutting down the length of the catwalk as if she were part of the show. It took her a few moments to make her way to the Country Thunder stage Friday night, cheered on by the crowd overflowing the festival grounds as headliner Tim McGraw just kept singing. When she reached him, he put his arm around her shoulder and gave her a gentle hug before a pair of stage hands calmly came out to lead her off. No fuss, no muss and no scene: You gotta love a chill Friday night at Country Thunder. 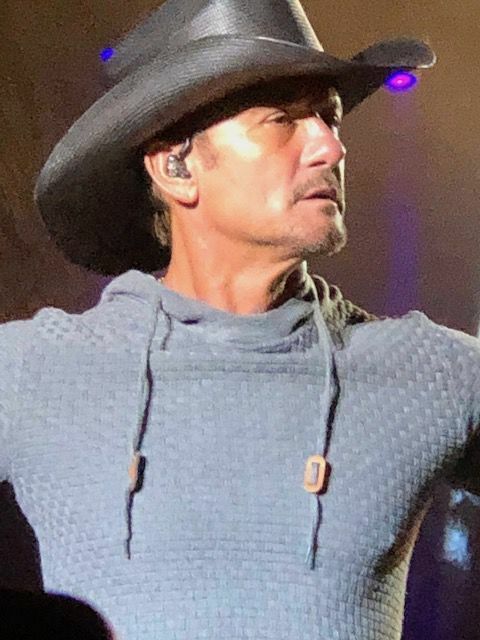 McGraw, headlining Day 2 of the four-day festival, warmed up the chilly night as he sprinted the length of the catwalk slapping fans' extended hands and tearing through his catalogue of No. 1 hits. We fist-pumped to his opening song "Truck Yeah" and tried to find our "Southern Voice" as we screamed out the refrain of a barbecue stain on a white T-shirt so loudly we almost drowned him out. "Man I love my job!" he screamed in response. "Look at all these people, man. It don't get much better than a bunch of people listening to country music on a Friday night in the desert." In his soulful baritone we could envision "Where the Green Grass Grows" and felt the pain of bad decisions made in the back seat of a "Red Ragtop." 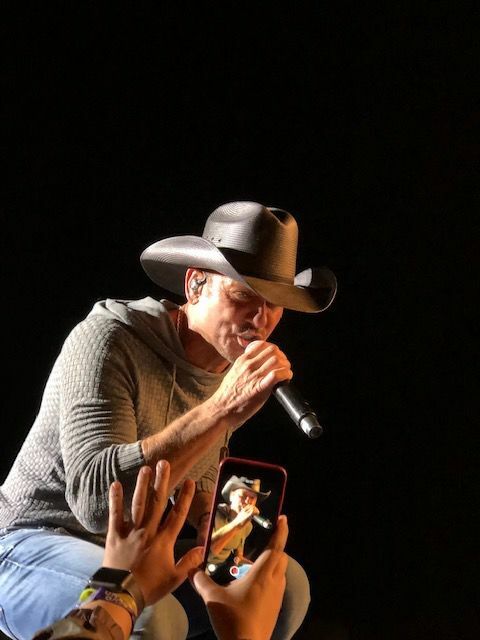 McGraw must have loved having an a cappella chorus of so many of us backing him on the inspiring "Humble and Kind." The crowd's voice hung in the air like a soft blanket, resonating off the hilltops in the distance and surely reaching anyone who stayed behind in the campsites. We joined in just as loudly on the heart-tugging "Live Like You Were Dying," our voices piercing the darkness as if we were making some proclamation to live life larger than ourselves. This was McGraw's first Country Thunder appearance in Arizona in a decade. He capped a lineup that included Clay Walker, Craig Campbell, Brandon Lay, the Scooter Brown Band and Abby Anderson — the only woman on this year's main stage. Arizona native Dierks Bentley joins Brothers Osborne on Saturday night. Country Thunder wraps up Sunday with Chris Stapleton. If opening night's 30,000-strong audience is an indication, record crowds will turn up through Sunday.